First up is a fantastic pair of pictures that are currently being auctioned off in aid of the charity Special Effect, which includes a framed render of modern Sonic, along with an original concept sketch drawn by the one-and-only Yuji Uekawa. 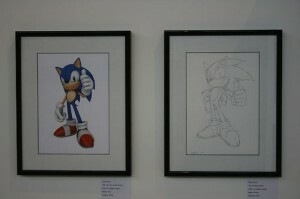 Uekawa is now synonymous with the design of Sonic the Hedgehog characters, making this object even more desirable to art fans. The pieces do not come cheap however, with the current bid on them standing at £700 – it is for a worthy cause though, so here’s hoping it fetches a great price for a fantastic cause! 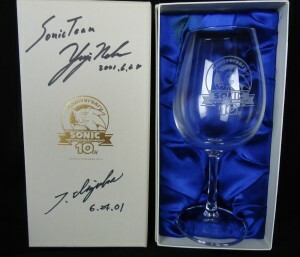 Secondly is possibly the rarest piece of Sonic the Hedgehog merchandise ever produced: the 10th Anniversary wine glass. As these were only handed out to SEGA employees at the time (unlike the crystal cube, statue and ring which were commercially available), only a tiny handful have ever appeared at auction. 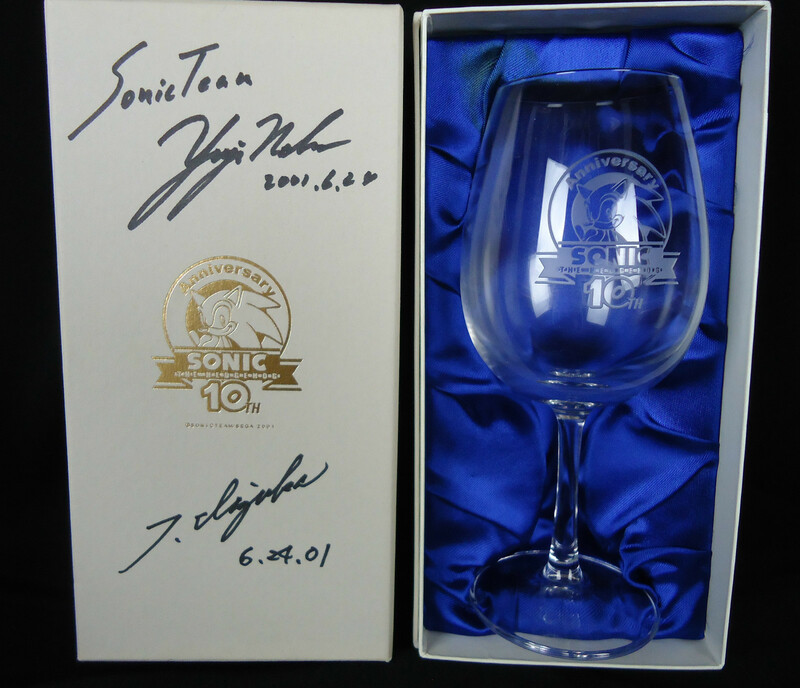 Not only that, the item is signed by both Takashi Iizuka and Yuji Naka, dated the day after the 10th anniversary. This piece is for serious collectors only though, with an asking price of $2,499 (approx. £1600). Still, these seldom appear for sale, and now is an opportunity to snag one for yourself if you’ve got the wonga! It’s time to go and tell mum what you want for Christmas! Special effect have a load of other artwork up for sale across a whole range of prices – so if you fancy something awesome for your wall, go check out the Special Effect auctions page. < Previous Post Previous post: Go to Starbucks, Get Sonic 4 Episode 2 For free! Oh well, the least most of us could do is just watch the countdown and let the prices blow (up). …wasn’t that sketch also in Wreck-It Ralph? In that hallway in Tapper’s?